Following up on last week's industry forecast for medical technology developers, let's see what 2016 holds for car manufacturers and companies involved in the development of products for the automotive industry. UPDATE: Click for our forecast of 2017 automotive industry development trends! 2015 has been a record year in the US in terms of the sales of road vehicles (cars and trucks). With low loan rates, cheap & stagnant gas prices, and the economy getting stronger in most major automotive markets worldwide after recovering from the financial crisis, 2016 looks promising for automotive developers. That said, disruptive changes are under way, transforming automotive end products, the way vehicles are produced, and thus the auto industry as a whole. Let's see some of the main trends that are expected to continue in 2016, and the challenges they mean for automotive developers. Increasing granularity in terms of target groups means that car manufacturers have to face the challenge of modularization. More and more different user groups prefer vehicles geared towards their specific needs. With the increasing demand for customization comes the challenge of managing diverse product lines, with multiple product feature variants. Numerous modules may be built on the same platform (vehicle architecture) in various models. This results in increased product complexity, but also allows the reusing of certain components in different models, and saving costs via economies of scale. Companies will need to equip themselves with adequate variants management tools to support this modularization. As a somewhat related topic, the need for e-car / hybrid technology can be expected to continue its slow expansion. The speed of e-vehicle adoption isn't projected to accelerate, with a forecasted market penetration of 11-20% in the next 10 years. To ensure the overall quality of road vehicles, as well as to avoid issues such as Volkswagen's 2015 emission scandal, regulatory requirements are getting stricter and stricter in terms of fuel efficiency, emissions, software, product safety, and reliability. Regulatory bodies are increasingly requiring car manufacturers to include safety features in their vehicles that were previously costly optional add-ons. Raising the standard on safety, fuel efficiency and emissions may also necessitate further research and development, meaning additional costs to automotive developers. What's more, more and more stringent regulations aim to ensure the safety and reliability of software embedded in road vehicles. Therefore, automotive software safety is fast becoming a key concern for developers. To make matters worse, regulations affect R&D in another way: regulators are often lagging behind the latest technological advancements, leaving manufacturers with no set standards to adhere to – and thus requiring them to devise custom, comprehensive & thorough QA processes to "future-proof" their latest innovations. In addition to potentially providing a competitive advantage, proficiency in developing automotive software could also pay off when it comes to compliance audits. Companies are increasingly realizing the benefits that adequate processes, tools, and software PLM or ALM software solutions could bring them. Connecting product manufacturing (PLM) and software development (ALM) is a concern of growing importance, with codeBeamer ALM spearheading the progress of bringing together these two, converging lifecycles. With more and more embedded technology (sensors, microcomputers, etc) in cars, the amount of available data is exponentially increasing. Usage statistics and maintenance data can all be collected and transmitted via wireless connection – as in most industry sectors, the Internet of Things is bringing a disruptive change that has the potential to fundamentally transform the way the automotive industry works. Companies need to cope with the challenge of gathering, storing, managing, and simply making sense of the vast amounts of customer or vehicle data collected by sensors and devices embedded in cars. Ensuring the security of this data is and will continue to be of vital importance. In addition to security, ensuring the speed and reliability of data exchange are also fundamental. Overcoming these challenges will help open up new opportunities for autonomous cars. These self-driving cars need to communicate with one another instantly and in a safe and dependable manner in order to avoid accidents. 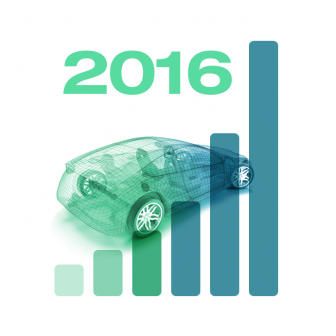 Overall, 2016 is shaping up to be an exciting year for automotive developers and vehicle manufacturers. 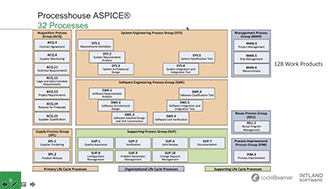 With the ever-growing focus on embedded technology and software, companies are and will be increasingly forced to gain proficiency in areas that traditionally weren't instrumental to the automotive industry. Learning to cope with the fundamental transformation and challenges of automotive development will greatly affect the success of car manufacturers and automotive developers worldwide.